Pittsburgh, Pa., Mar 23, 2018 / 12:39 am (CNA/EWTN News).- Through an annual initiative called “The light is on for you,” dioceses throughout the U.S. have opened their doors to welcome fallen away Catholics back to the Sacrament of Reconciliation. 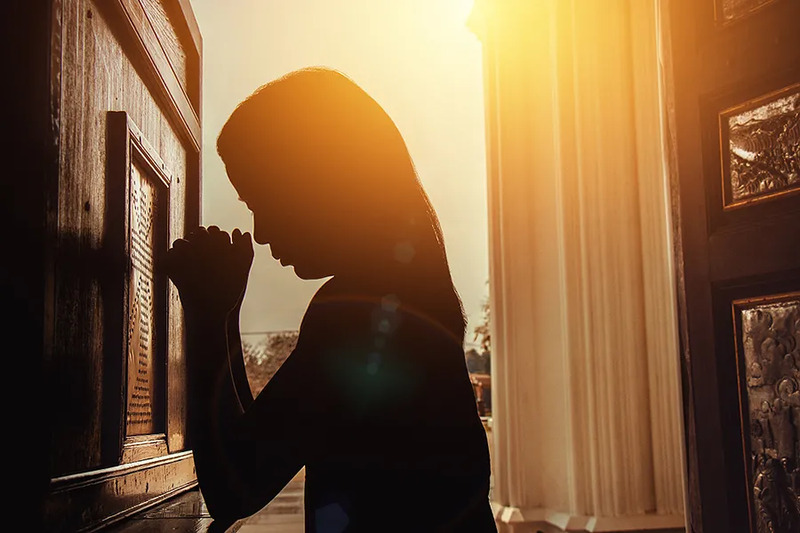 “It’s an opportunity to reach out to people who may not be regularly thinking about confession and for it to spark their interest,” said Father Nicholas Vaskov, executive director of communications for the Diocese of Pittsburgh. “This is sort of the apex of a long journey back to a regular practice with their faith. They’ve come to a point to realize without this it’s not going to be complete, just that desire to be one with God,” he told CNA. “The light is on for you” is present in dioceses including Arlington, Va., Washington, D.C., Boston, San Jose, and Dallas. Participating dioceses pick a night in Lent when every church has a priest available for confession, some with several nights throughout the Lenten season. For at least the sixth year in a row, the Diocese of Pittsburgh has also had one night in Lent when every church is open for confession. Since February, the diocese has promoted the event on radio stations, bus shelter signs, and social media. As the pastor at St. Mary of Mercy Parish in downtown Pittsburgh, Father Vaskov heard confessions for three hours on March 22. Despite 10 inches of snow, he said people still lined up for the Sacrament of Reconciliation, including both Catholics who frequent the sacrament and those who had not been in years. “I think it is a powerful experience for many who come… so often, and last night was no different, people who [had been] 10, 20, 30, even 40 years away from the sacraments” returned to confession. The event is promoted especially as an opportunity for fallen-away Catholics to return to the sacraments without pressure, said Father Vaskov, who worked with radio stations and ad buyers to promote advertisements tailored to this audience. The ads sought to respond to the reasons that people give for leaving the Church, such as a bad experience with a priest or why confession is necessary for forgiveness. This opportunity is especially important during the time of Lent, said Father Vaskov, adding that confession nourishes spiritual strength and health all the more when accompanied by the disciplines of Lent. Additionally, he said, confession accompanies a meditation on Christ’s suffering at the cross and Christ’s conquering of sin to renew our relationship with God. Bishop David Zubik of Pittsburgh, whose diocese hosts the event twice a year, said one of the greatest joys a priest can experience is the bringing fallen-away Catholics back to fold of the Church. “We are here to welcome people back, to offer mercy and to help them experience God’s love,” Bishop Zubik said in a 2018 Lenten press release. Washington D.C., Mar 22, 2018 / 04:45 pm (CNA/EWTN News).- The stopgap omnibus funding bill passed the House of Representatives on Thursday, despite heavy criticism from the US bishops and conservative members over the continued federal funding of Planned Parenthood, among other things. The bill passed March 22 by a vote of 256-167. Rep. Mark Meadows (R-NC) released a scathing letter after the vote. “This omnibus is nowhere close to what Republicans promised to fight for,” said Meadows. Last year, Planned Parenthood received over half a billion dollars in federal funding. The inclusion of federal funding for Planned Parenthood was not the only controversial thing about the bill. 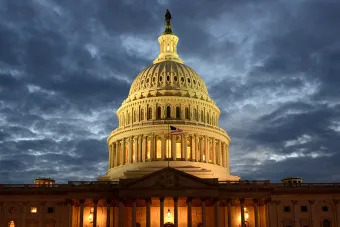 The US Conference of Catholic Bishops issued a statement saying they were “deeply disappoint[ed]” that the Conscience Protection Act (CPA) was not included in the appropriations bill, and said that members of Congress who did not support the CPA were extremists. Prior to the vote, many congressmen took to Twitter to complain about the bill’s large size (over 2,000 pages), the limited amount of time they had to read the bill before they were to vote on it, and specific programs that were still going to be receiving federal funding. The omnibus bill now moves to the Senate, where it must be approved before the end of Friday to avoid a government shutdown. Los Angeles, Calif., May 22, 2018 / 02:59 pm (CNA/EWTN News).- The Archbishop of Los Angeles encouraged Catholics to love the Blessed Virgin Mary as their mother during a Mass commemorating a newly-proclaimed Catholic feast day.